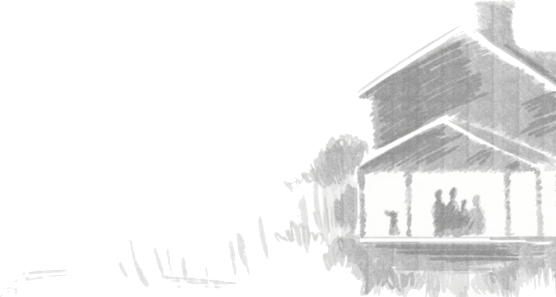 Plan with Grace is a funeral plan provider that works with Independent Funeral Directors, to help you create the funeral plan that best suits your requirements from the comfort of your own home. Professional guidance, support and advice provided by the Funeral Director. Taking care of all administrative duties and legal requirements. Initial care and transfer of the deceased, during office hours, within a 25-mile radius of your local branch of your chosen Funeral Director. A full funeral service at the local Crematorium or Cemetery Chapel. A motor hearse provided to transport the deceased from the funeral home to the place of committal. The family will usually meet directly at the Crematorium or Cemetery Chapel. Provision of a wood effect coffin suitable for cremation or burial. Provision of funeral staff to attend to all matters relating to the smooth running of the funeral service, including carrying coffin in to the Chapel, and assisting mourners before and after the service. Any cremated remains will either be returned in a simple container to the family if requested, or they can be scattered at the crematorium where the committal took place. The essential disbursement costs will be taken in to consideration and included in the plan if required. There are many reasons why people want to purchase a funeral plan, but the success of any funeral plan is dependent on what services are included in the plan and the funeral director who ultimately will be looking after your family in the future. A contribution towards Third party costs or 'disbursements', can be included in your plan - These fees will be required to enable the chosen funeral to go ahead. Disbursements are the third party costs which have to be paid to enable the funeral to take place. These costs vary in different areas of the country and are out of the chosen Funeral Directors control. Plans can include a contribution intended to cover most, if not all disbursement costs. You can find details of the required contributions during the configuration of your funeral plan. The amount included in the plan towards the disbursements is increased each year in line with the Retail Prices Index but, because the third party charges are not within our direct control, we cannot guarantee that they will be 100% covered by the contributions. You can choose NOT to make an allowance towards disbursements, but these will then need to be paid at the time of the funeral by either your estate or relatives. 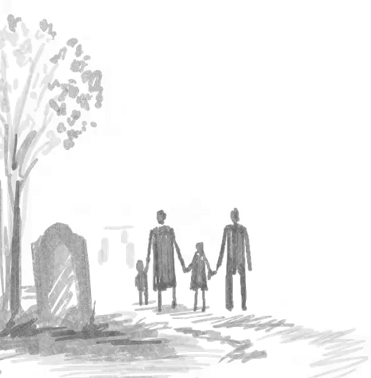 Plan with Grace provides the platform from which to develop/build the funeral plan to meet your exact requirements and allows complete flexibility to be in control of your funeral plan, both now and in the future. Begin by selecting the Essential Plan and build in the services that you would like to include within the plan. All prices are provided by local independent Funeral Directors, so you can be assured that the price of the Funeral Plan you develop reflects the true cost of a Funeral in your area. 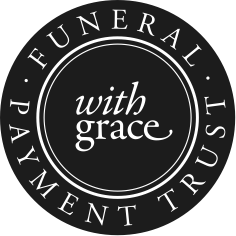 Once a plan is purchased, the money is held securely in the Plan with Grace Funeral Payment Trust, until such a time it is required to pay for the funeral and every customer will receive their own unique login to be able to amend, alter and update their funeral Plan should their circumstances/requirements change. "My family will benefit from this tremendously - every detail I wanted to include is recorded." "The fact that the funeral plan costs are relevant to my area is very reassuring that they are accurate"
"This is brilliant! I have chosen my own funeral plan, not just 'any funeral plan' "
"Even though I chose the simple Essential plan, I was reassured that when the time comes, the support of a funeral director would be available for my family." Plan with Grace is a funeral plan provider that enables you to deal with a local funeral director, rather than a faceless call centre. Plan with Grace was founded in partnership with leading family owned funeral directors CPJ Field & Co Ltd and Walter C. Parson Ltd, whose experience combined spans over 500 years. Our team of investment managers and custodian trustee have been specially selected for their track record, integrity, and transparent approach to charges and financial reporting.